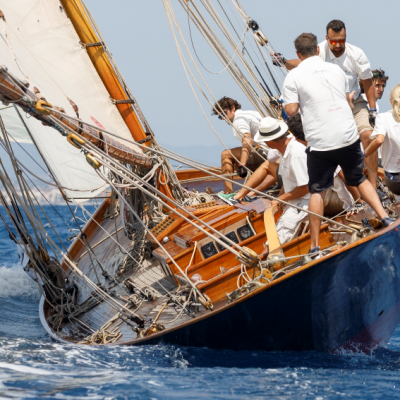 As part of Puig’s 100th anniversary celebrations, the company is taking another step in the world of classic yachting by hosting the 7th Puig Vela Clàssica Barcelona Regatta and 12mR World Championship in the same week. Legendary racing sailboats and masterpieces of naval architecture like the Moonbeam III and IV, Islander, or famous 12-metre boats like the Vim will compete in these challenges. This year, Barcelona can see the famous 12-metre fleet close to; legendary sailboats from the America’s Cup dating from the golden years of racing in late 50s through to the 80s. Barcelona, 29 April 2014. 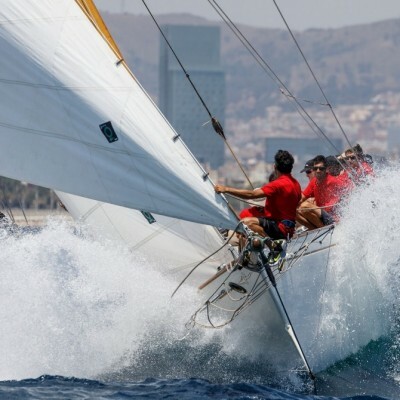 For the seventh year running, Barcelona is preparing to become the hub of elite classic and vintage sailing at the Puig Vela Clàssica Barcelona Regatta. As a special feature this year and part of Puig’s 100th anniversary celebrations, the fashion and fragrance firm which distributes well-known international brands like Carolina Herrera, Nina Ricci, Paco Rabanne or Jean Paul Gaultier, has decided to take its commitment to the world of sailing a step further by hosting another event that sailing enthusiasts mustn’t miss, the Puig 12mR World Championship, during the same week as its seventh regatta. The internationally acclaimed 12-metre fleet, with over 100 years of history, was the star of the golden years of the America’s Cup, between the late 50s and 80s. The Puig 12mR World Championship kicks off on 13 July, while the Puig Vela Clàssica Barcelona starts on 17 July. Both races finish on 19 July, the close to an exceptional week on the Barcelona coast, when 70 gems of sailing boats will grace the port and turn the city into a breathtakingly beautiful floating museum. Combining the two yacht races will create an unparalleled sight in the world of sailing to celebrate Puig’s centenary year, demonstrating its passion for and commitment to the city of Barcelona. Puig, a leading fragrance, cosmetics and fashion company, was founded in Barcelona in 1914 by the Puig family. Throughout its history, the company has managed to transfer successfully the image of designer brands to the world of fragrances with a high level of engagement and commitment. Puig has a longstanding relationship with water sports in general and with sailing in particular. 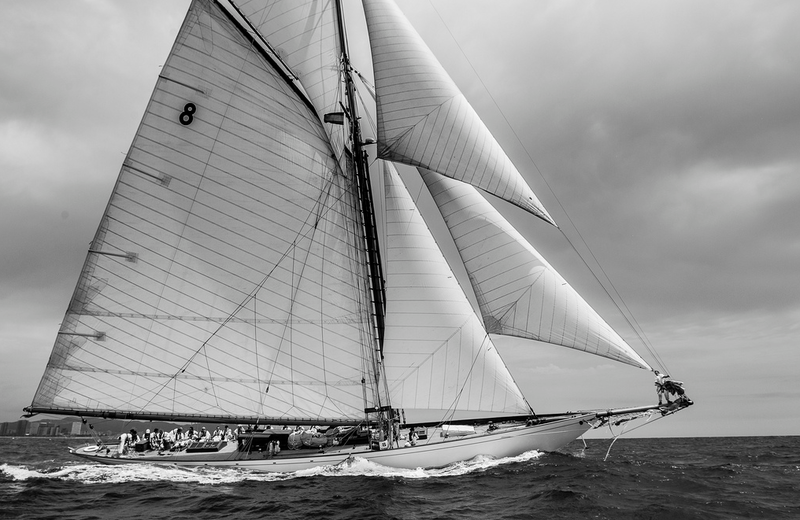 Sailing, a passion inherited by the whole Puig family, requires many of the values that the company prizes: enthusiasm, teamwork, craftmanship, aesthetics and tradition. 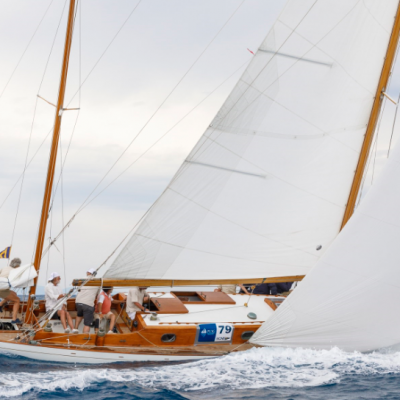 For this reason, the company has chosen to celebrate its 100th anniversary by creating a milestone in Barcelona’s nautical history: hosting two world-class classic regattas at the same time. In addition, on 7 April, Puig opened its new head offices in Barcelona, with the presence of the Prince and Princess of Asturias. The 7th Puig Vela Clàssica Barcelona regatta has become one of the leading classic yachting events on the international calendar, both for the sailboats entered and the exclusive atmosphere at the event that year after year attracts passionate followers including shipowners and expert sailing enthusiasts. Over fifty classic and vintage boats from Spain and other countries from across the world (United Kingdom, France, Argentina, Italy etc. ), will compete in the regattas, creating a scene of pure sailing tradition rarely seen in a big city like Barcelona. Racing sailboats from the 12-metre class have played a highly significant role in the development of sporting challenges during the last century. These long, fast vessels with large crews were created by some of the best designers in the world: Fife, Burgess, Nicholson and Stephens. The first 12 Metres were built in 1907 and were used in three Olympic Games but are best known as the boat design used in the America’s Cup in 1958. Great pains have been taken to conserve these nautical treasures in different parts of the world from Australia to the United States, or in the classic sailing fleets in North and South Europe. Puig is a third-generation family-owned fashion and fragrance business based in Barcelona. The strength of the company lies in its ability to build brands, to shape the image of brands through fashion, and to translate that same image into the world of fragrance through storytelling and product excellence. Puig success stories include a combination of owned brands such as Carolina Herrera, Nina Ricci, Paco Rabanne and Jean Paul Gaultier, licenses such as Prada, Valentino and Comme des Garçons, and celebrity fragrances. Our products are distributed in more than 140 countries around the world.